When it comes to online reviews, not only do they provide word of mouth and referrals, they also affect local search and SEO. A Google My Business (GMB) listing feeds directly into Google search results. Most consumers (over 95%) begin their research online, and when looking for a local product or service, about 93% of search results include the 3-pack alongside GMB listings. If you don’t create Google My Business page, your business won’t appear in local search, which is almost like saying it doesn’t exist. At least not for potential customers in your area looking for a product or service such as yours. It’s worth looking at GMB categories regularly as they often change, and you can sometimes find new opportunities that become available for your business. When selecting categories, more isn’t necessarily better, but relevance is critical to how and whether you do appear. Also, be selective. Your chances of appearing or ranking for “Fresh grocery store” are much better than “Groceries”, if this were the case. Make sure your landing page linked from GMB contains keywords that you are targeting. This can help your listings to rank in the local search 3-pack. It might not be a ranking factor, but it can help with conversion when you include more photos in your GMB listing. It’s recommended that you include 10 or more photos related to your business. Those that do can see up to 40% more requests for directions to their business. A study on local marketing (Brandmuscle) found many businesses have not claimed their GMB and Yelp profiles. 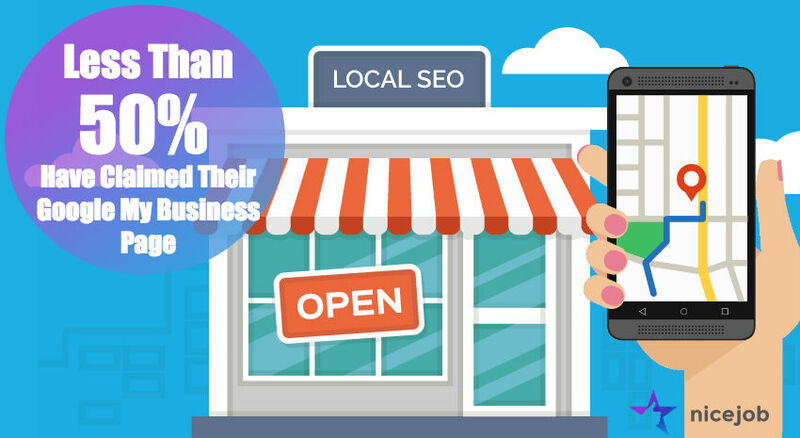 In fact, less than 50% have created or claimed their Google My Business page, and less than 35% on Yelp. Enter your business details correctly, such as business hours and other fields. The area code must match for the city where you want to rank, and the phone number should be solely for your business. Also, use a real physical address, not a PO box. Ensure there is consistency with your citations for your NAP (Name, Address, Phone) details. It should appear with the same format everywhere. This includes spacing, spelling, and punctuation. Reviews directly impact your ability to appear in the local search 3-pack. From overall rating to recency, some of this is within your control. One area that is more difficult is proximity, which is the distance between you and the individual doing a search. Businesses with multiple locations have a slight advantage with proximity. Make use of local citations to build up the website profile of your business and its physical location. This is where your business name and physical location receive mention, and are factors that can influence your GMB listing. Data accuracy not only affects your listing and local results, it can affect conversion as well. One study found that 20% of GMB listings of listings have a missing or incorrect phone number, and over 40% had missing or incorrect addresses. This makes it hard for customers to find or call. 50% of consumers who conducted a local search on their smartphone visited a store within a day, and 34% who searched on computer/tablet did the same. Since online reviews in GMB as well as other sites are factors that determine how well you do in local search, it’s important to monitor and manage your reviews. If you aren’t monitoring your reviews, you can manage them. Should you get a negative review or a poor rating, this will bring down your overall rating score. When you have a low amount of reviews, a single poor review has a bigger impact than if you had several. For example, if you only had five reviews, and to keep simple if they were all 5 stars, then if you received a poor review with a one star rating, that would bring down your average a lot. If you’re monitoring, you can respond, and even turn a customer around. In one study, it was found that when a business replied to negative reviews on review sites and social media, about a third of customers would either delete the original review, or even replace it with a positive one. Also, from a consumer perspective, the recency of your reviews matter. Almost half say that say a review must be written within one month to be relevant. To keep a steady stream coming in, it's important to be proactive about getting more reviews on a regular basis. For more visibility in local search, build out pages related to the services you offer in specific locations. Further enhance with supplemental posts related to local news occasionally, that includes mentions of a neighborhood, and internally link your regional landing page. Depending on the type of business, you could consider hiring a Google certified photographer so you can provide an Indoor Street View tour of your business for an edge with your listing. 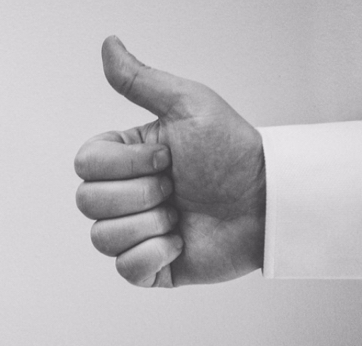 You should review your GMB page a few times a year. Are the details accurate? Has anything changed or requires updating? Are you able to add images or replace some with better ones? Also check that no one has edited your GMB page, which does happen, and when a competitor does it intentionally it affects your ability to appear or rank in local search. If you haven’t created a Google My Business page listing yet, get started here.